One of the better California reds I have tasted this year sells for a modest $20 and really over-delivers on value and interest. 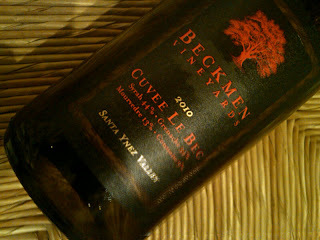 Beckmen Vineyards, a gorgeous, rolling property in the Santa Ynez Valley of Santa Barbara County, produces a range of red and white wines, mainly from Rhone varieties. 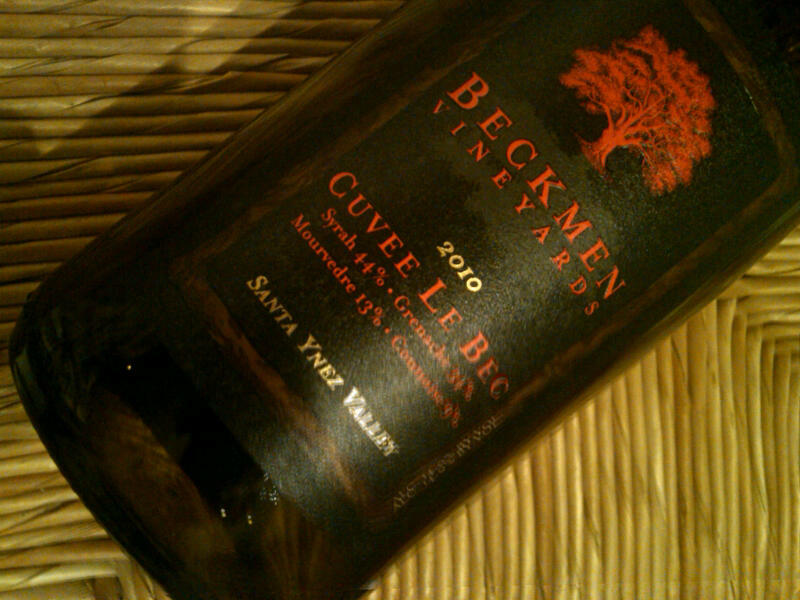 While Beckmen’s single-varietal reds made from grenache and syrah come into their own after some bottle aging, its newly released red blend, the 2010 Cuvee Le Bec, is already drinking beautifully. This estate wine is made from 44 percent syrah, 34 percent grenache, 13 percent counoise, mourvedre and 9 percent counoise. It’s grapey and concentrated with sweet blackberry, blackcurrant and boysenberry fruit and secondary notes of cinnamon and unsweetened cocoa. Oak is nicely integrated and the wine is moderately tannic. Alcohol is listed as 14 percent. All and all it’s a pleasure to drink. Consider it for leg of lamb, pulled pork and and even burgers on the grill. Received as a press sample.